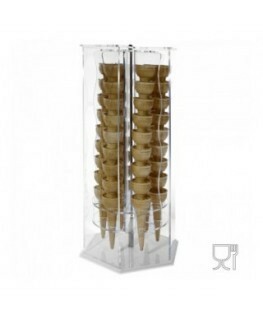 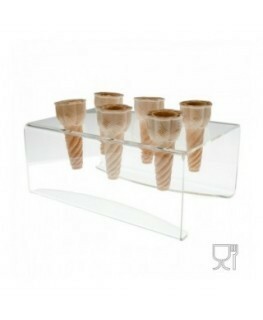 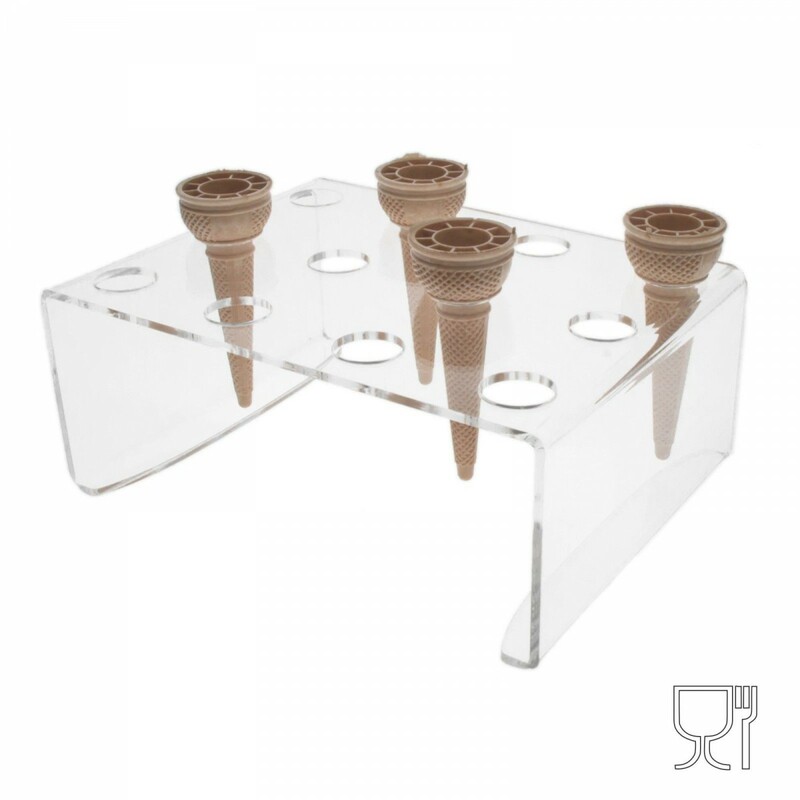 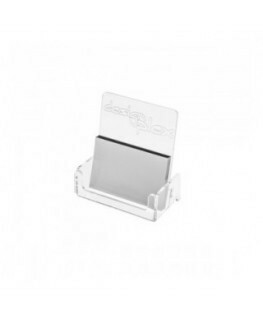 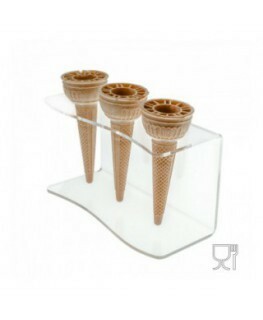 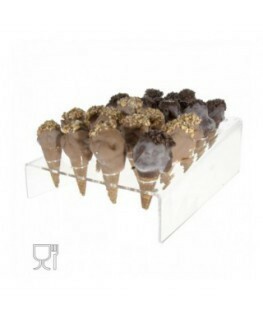 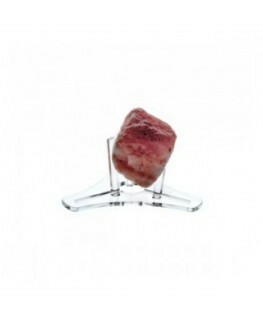 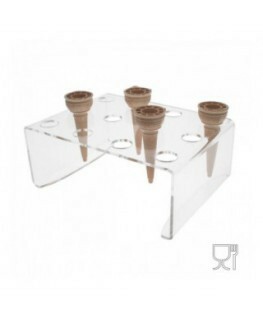 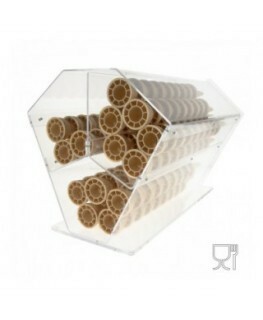 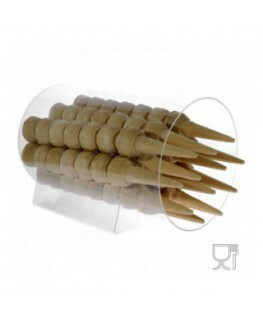 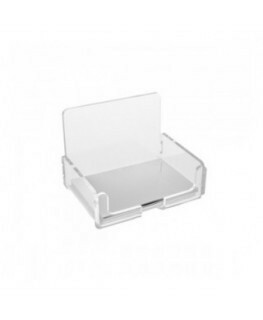 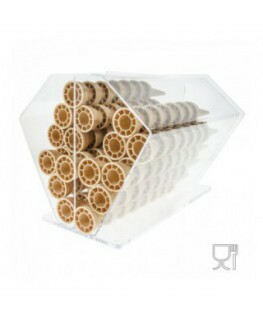 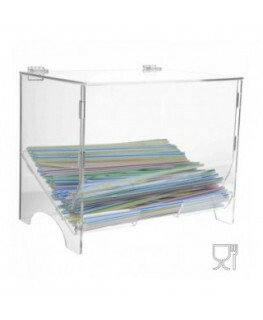 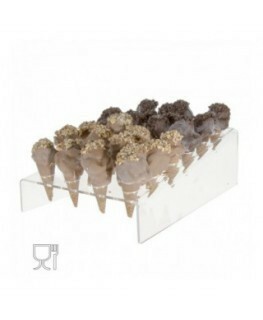 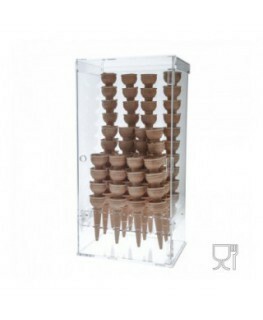 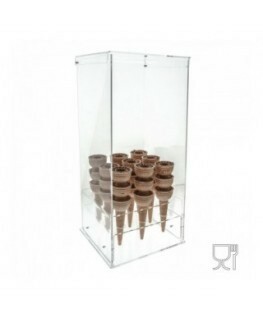 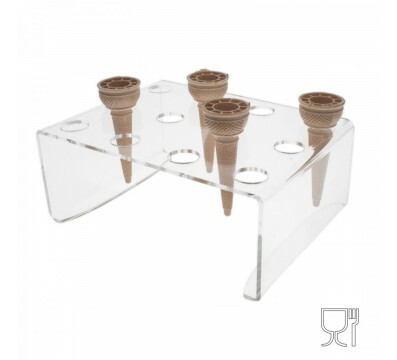 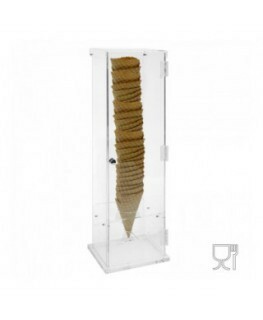 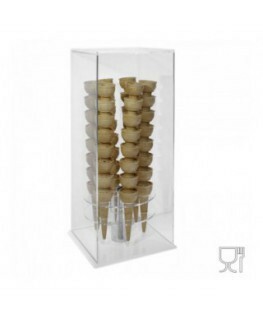 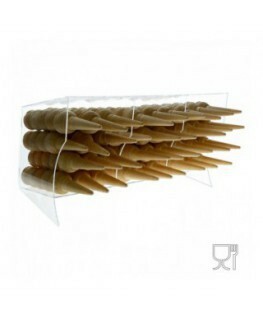 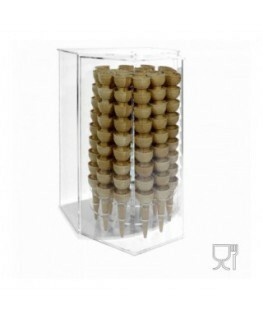 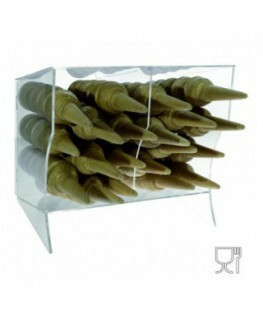 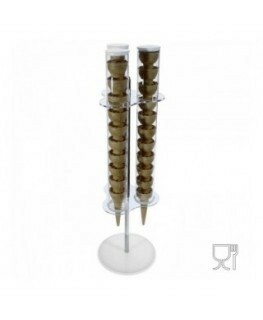 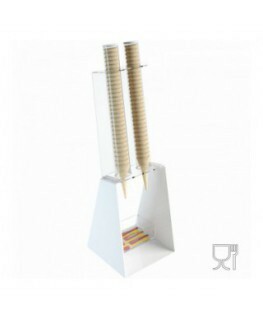 Clear acrylic ice-cream cone holder with 12 holes, ideal for ice-cream parlours, cafés and bakeries. 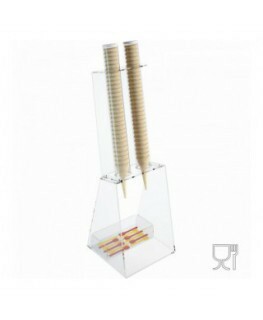 Made out of clear acrylic . 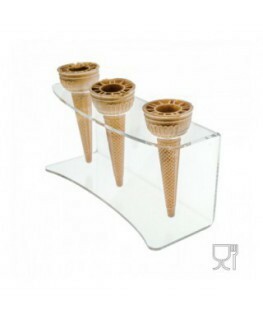 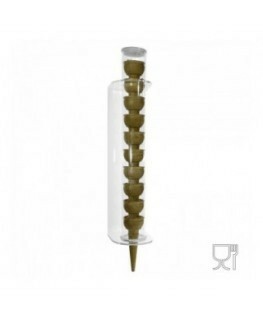 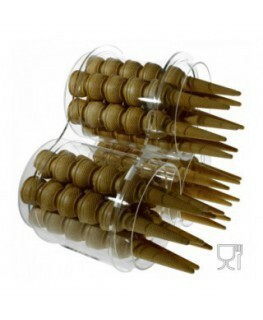 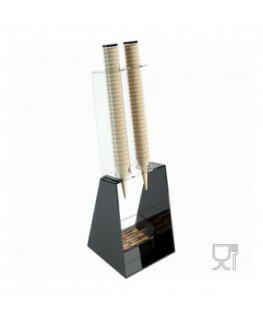 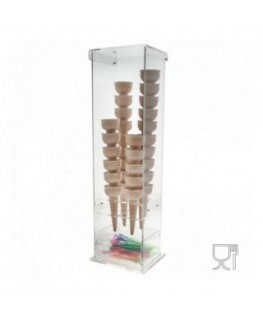 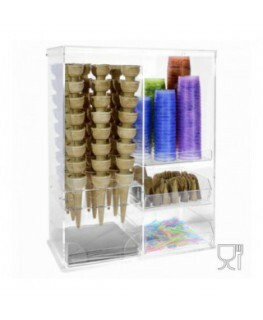 It can hold 12 ice-cream cones and can be placed on counters or shelves.